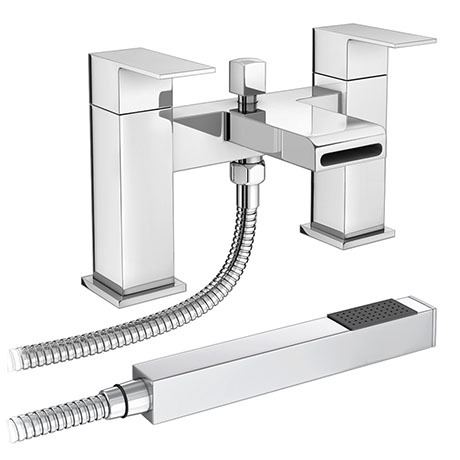 The designer contemporary style Empire waterfall bath shower mixer produces a beautiful waterfall effect, it's clean lines and minimalist form is complemented by lever handles. Suitable for any modern bathroom. Includes the handheld shower head, wall bracket and the flexible hose. "Love it, So modern, and looks great on the bath."